The U.S. Coast Guard administers two separate grant programs designed to promote boating safety under the Federal Boating Safety Act of 1971 (recodified under Title 46, United States Code). Your state or territorial agency or nonprofit organization may be eligible for valuable grants. The National Boating Safety Advisory Council (NBSAC) was established by the Federal Boat Safety Act of 1971. The law requires the Secretary of Homeland Security, and the Commandant of the Coast Guard by delegation, to consult with the Council in prescribing Federal regulations, and regarding other major boating safety matters. The Council has consistently provided invaluable advice to the Coast Guard on a broad range of boating safety matters. The U.S. Coast Guard maintains detailed statistics on all reported recreational boating safety accidents and incidents throughout the United States and its territories. Access published reports here. 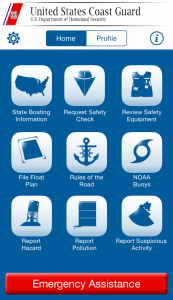 The Strategic Plan of the National Recreational Boating Safety Program describes the U.S. Coast Guard's goals and strategies to ensure the public has a safe, secure, and enjoyable recreational boating experience by implementing programs that minimize the loss of life, personal injury, and property damage while cooperating with environmental and national security efforts. On occasion, State law enforcement agencies, manufacturers or other interested parties will ask the Coast Guard what laws and regulations apply to a particular device being used, or considered for use, on the water.